September at Walt Disney World is a perfect time to vacation at the mouse. The September Disney crowds are lighter with Summer being slower at Disney World now that kids back in school. September is also one of my favorite time to vacation at Walt Disney World because of the festivals. 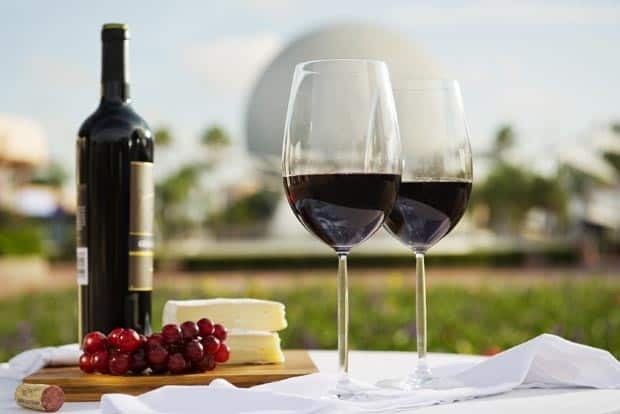 Epcot’s International Food and Wine Festival is not to be missed. This festival is at Epcot and was created years ago to help fill the park during the slow Fall months. Now Fall has gotten more popular over the years. September can still have lighter crowds than most months. Most of September at Disney World is in the green. Also September Orlando weather can be nice. You might still have some very hot days but if you are lucky you can get some cooler weather for enjoying the Disney parks. September is a great move already to travel. 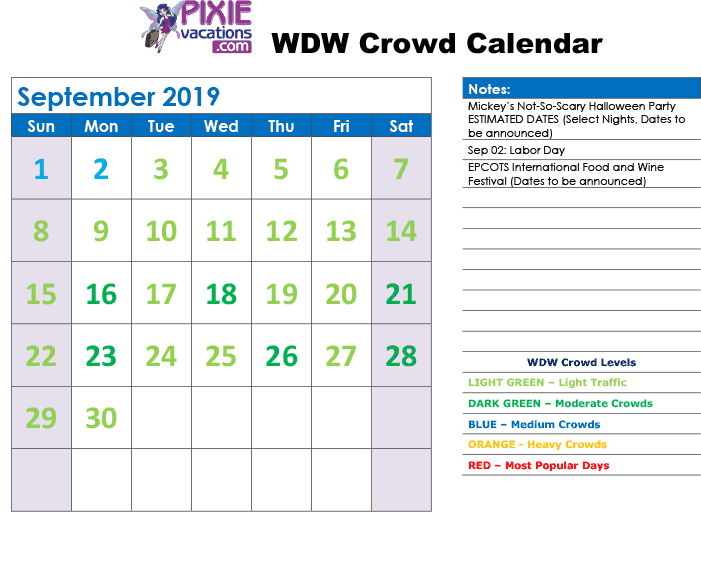 Most days are light green or green on our WDW calendar. If this trend is like in previous years, I would just try and avoid Epcot on the weekends when locals are adding to the crowd levels. September Disney World events brings Epcot’s International Food and Wine Festival and also Mickey’s Not-So-Scary Halloween Party at the Magic Kingdom. These are both really great events. 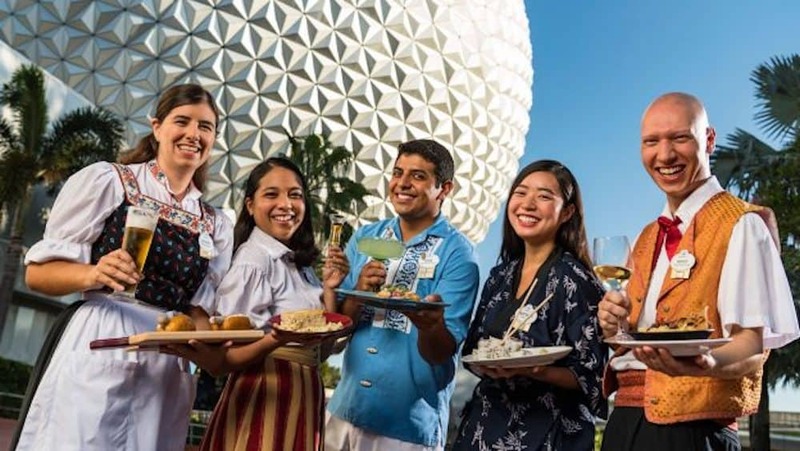 Epcot’s International Food and Wine Festival is included as part of your Epcot admission. Mickey’s Not-So-Scary Halloween Party is an extra ticket event on select nights at the Magic Kingdom.